﻿ Lot for sale. 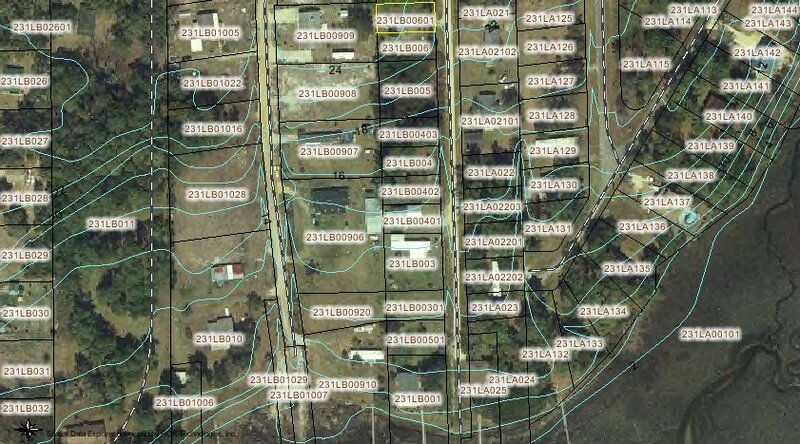 Holden Beach North Carolina area lots 8, 9, 10 and 11 on Andrews Drive near the Intracoastal Waterway. $104,900.00. Year-round ocean activities, and intracoastal fishing and boating. 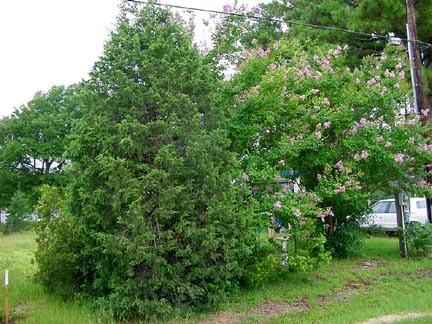 Located between Wimington North Carolina and Myrtle Beach South Carolina close to beaches. 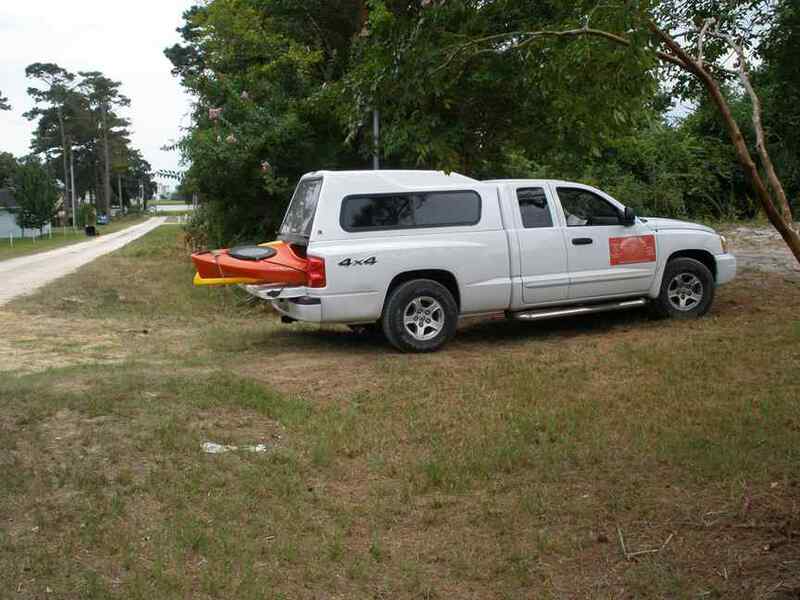 Brunswick County does not allow campers to be set up on private lots. Vacation place or lovely retirement area. 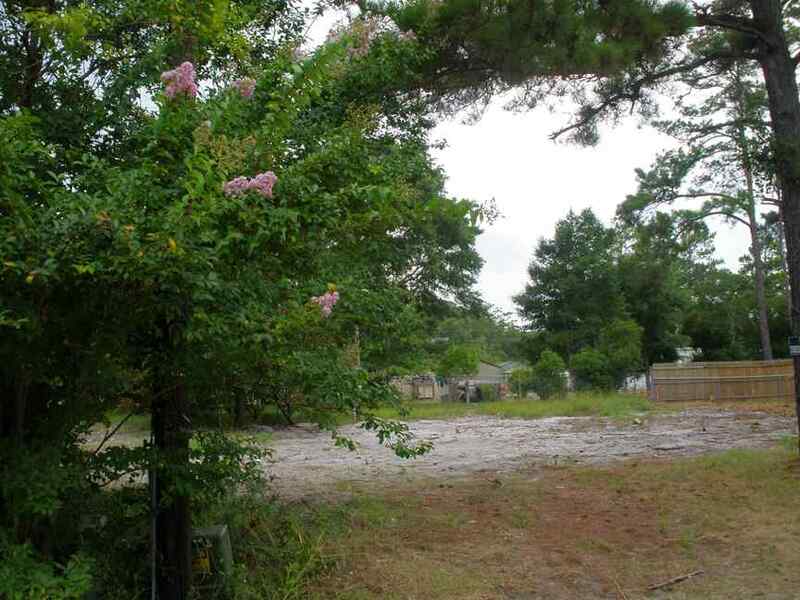 Rent all four lots for $175.00 per month. 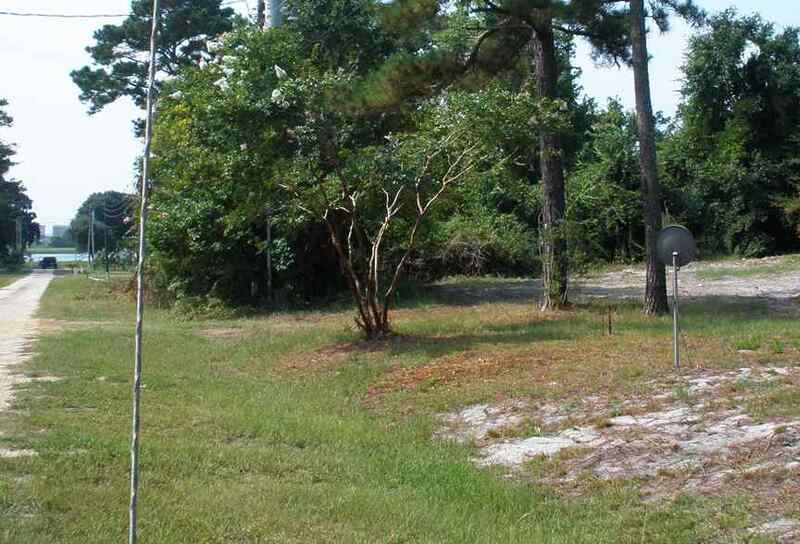 This property is close to the intracoastal waterway across from Holden beach. You can watch the boats going by in the waterway from the lots. Close to the Intracoastal Waterway. 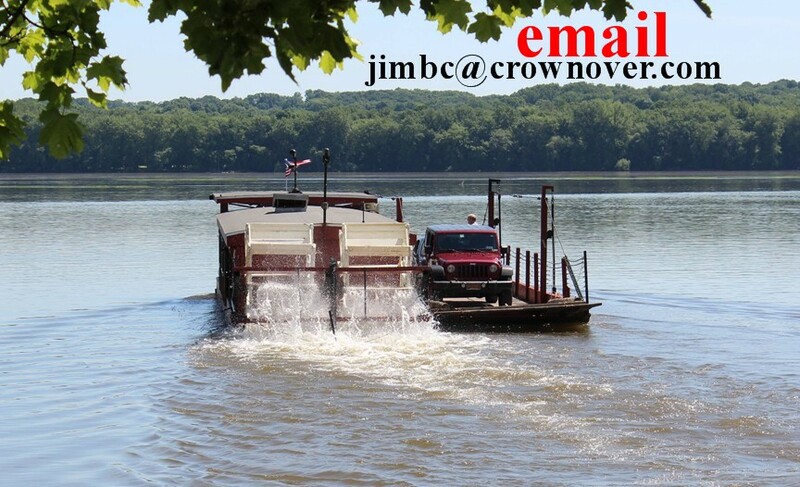 If you enjoy golfing and fishing, this is just the place. 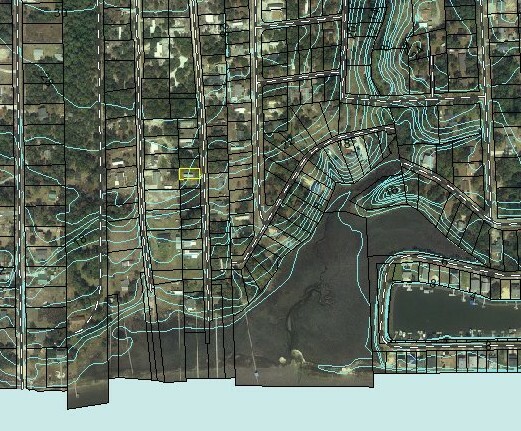 The Intracoastal Waterway is less than 200 yards down the road. Lockwood Folly golf course is about 3 miles away and Rivers Edge Golf Club is about 12 miles in the other direction. There are many other golf courses nearby. 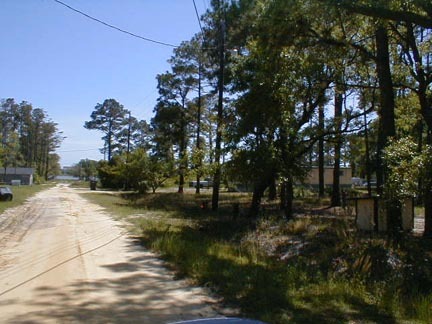 This is one of the most rural areas on the Southeast coast. Get away from the hustle and bustle of the crowded beaches. 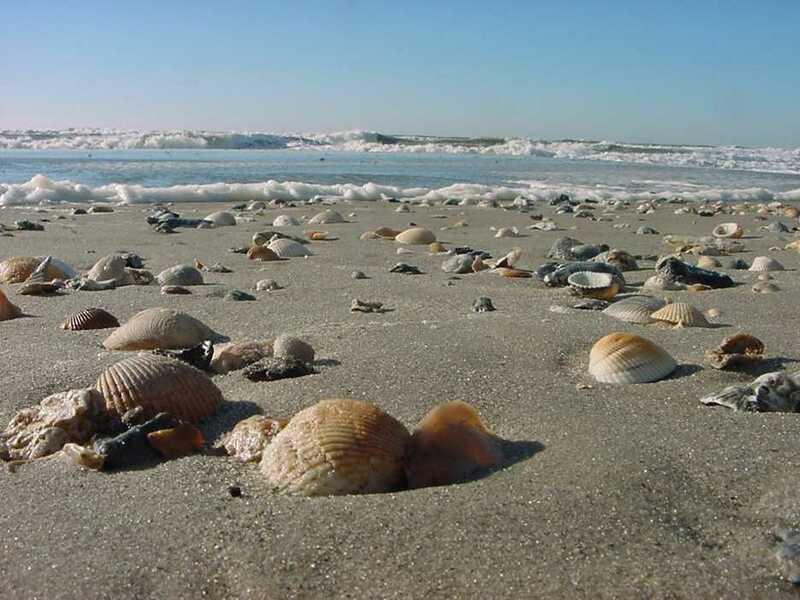 Holden Beach is between Wilmington NC and the world famous seafood restaurants at Calabash NC. 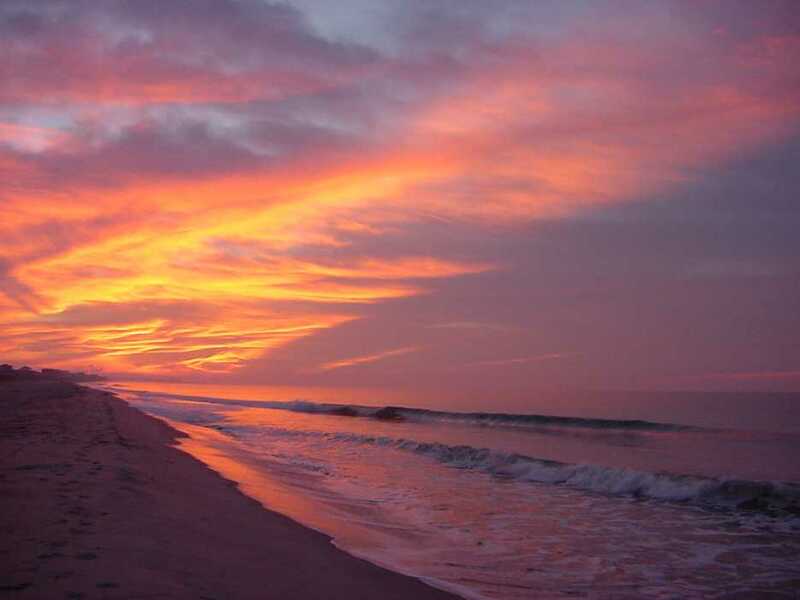 North Myrtle Beach and Myrtle Beach tourist attractions are 30 to 45 miles to the south. Southport and Orton Plantation are nearby attractions. The North Carolina Marine Resources Center and Aquarium are located nearby at Fort Fisher. 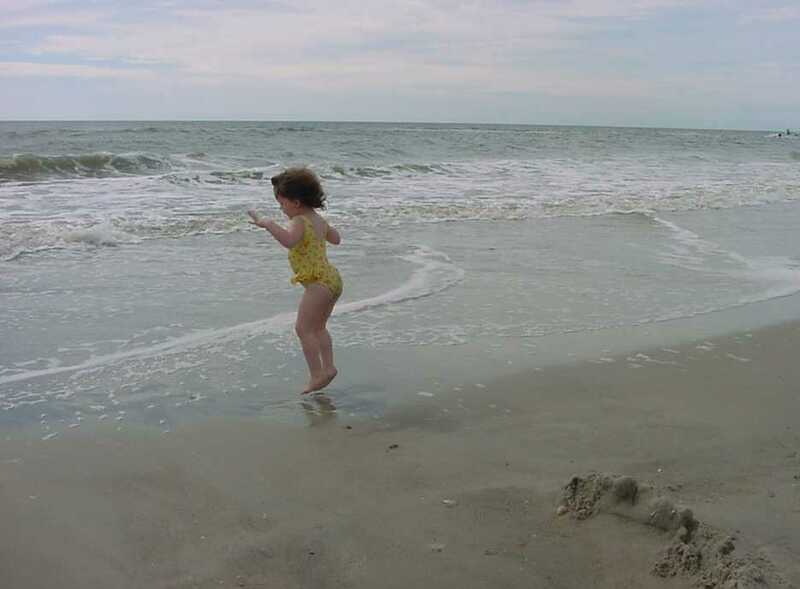 Bald Head Island can be reached only by ferry. The battleship North Carolina is at the Cape Fear river in Wilmington. These first 3 pictures are from August 2009. The other pictures show how the 4 lots looked in earlier years. This picture shows the corner of lot 11. It is the iron post just beyond the neighbors satellite dish. It also shows the road going down along the rest of the lots. The water at the end of the road is the Intracoastal Waterway. The house on the other side of the waterway is on Holden Beach. 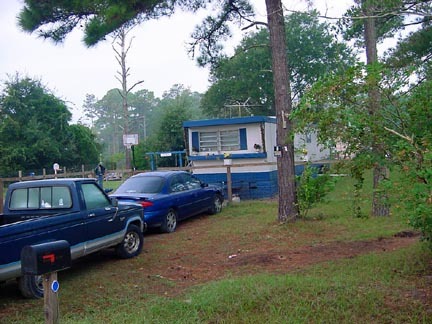 This picture shows my truck in the driveway in front of where the mobile home was. This pictures looks directly into the driveway where the mobile home was. Lots 10 and 11 are now mostly clear. Lots 8 and 9 have lots of brush on them. with the previous tenant's mobile home. Waterway from just before the lot. The house in the distance is on Holden beach. The mobile home is on the first lot. 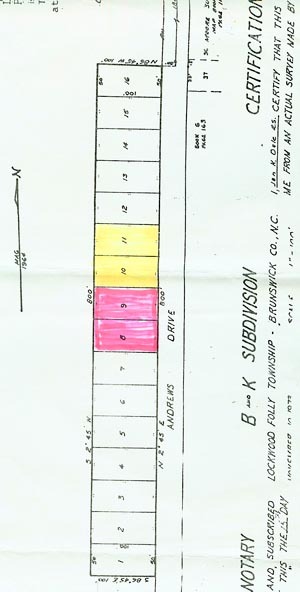 The lots for sale are highlighted in pink and yellow. The lot in yellow 231LB00601 is the first lot. 231LB006 and 231LB005 below it are the rest. The blue is the waterway. The first lot, 231LB00601, is where the car is parked on the right. The view past the lots to the intracoastal waterway. 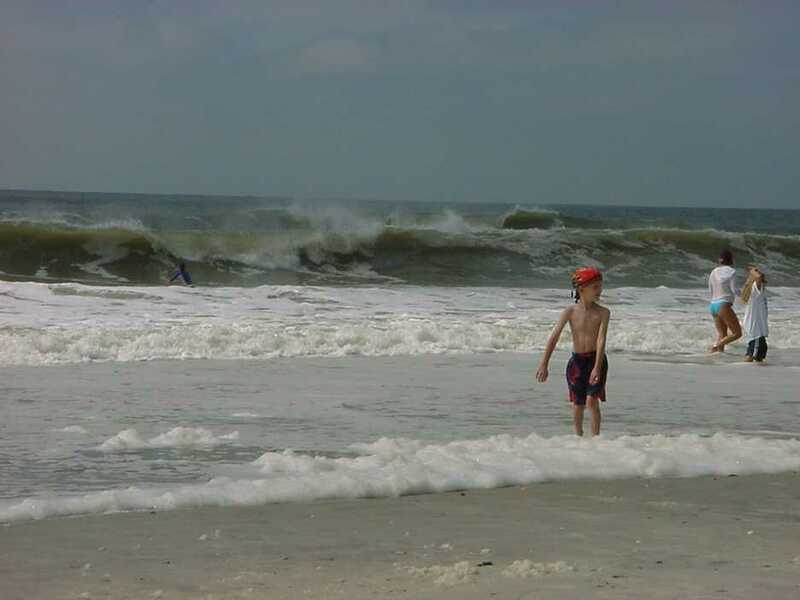 These are some pictures I took at Holden Beach. 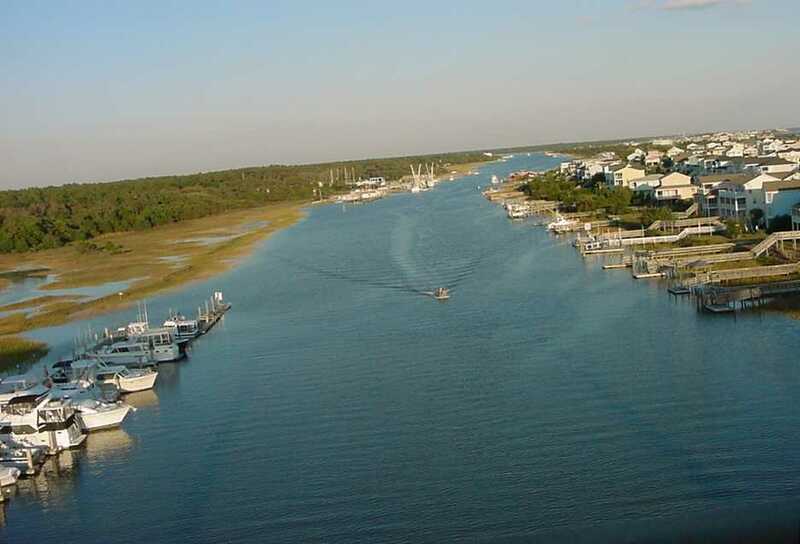 View of the Intracoastal Waterway from the bridge to Holden Beach. Up at the end of the picture and to the right is Andrews Drive. 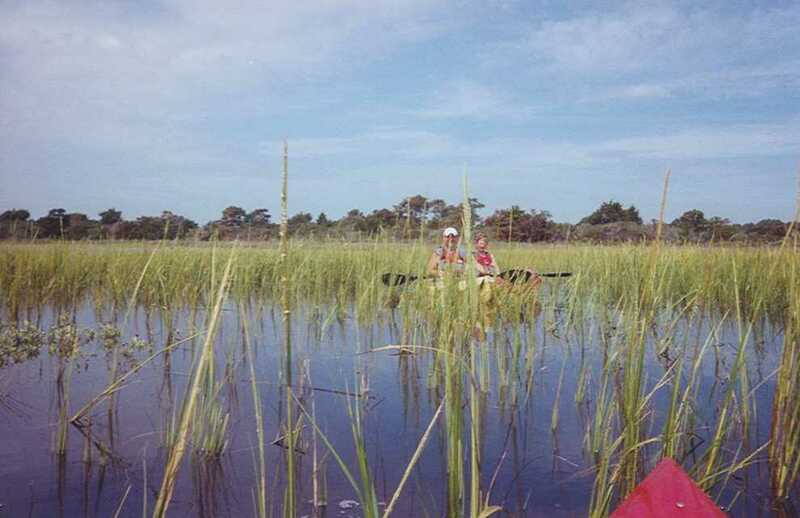 Marsh kayaking at Holden Beach.